Dear friends, Greetings and a hug from myself and my people. On behalf of my 115 companions who lost their lives in the well, I ask you to be like angels from heaven and give a glass of water to the children and women of Chiul." ​The Afretlain Education Centre is the home of the dream and AMOR´s programmes in Guatemala. Its construction is the first element of the dream of Afretlain. It will be built with great integrity on the foundations of 24 years of history. Above all, it is built in the name of the 115 children massacred in the Chiul well, and of all victims of the indigenous holocaust in Guatemala and wars all around the world. Our proposal is to build an Education Centre for indigenous orphans and vulnerable children which will also serve as an Adult Training Centre in the K´iche´ Mayan village of Chiul in Guatemala. Chiul is a war-devastated area where only one in ten children attend school, the majority obliged to work from the age of five by an extreme poverty imposed by the policies of successive governments. The Peace Accords were signed in 1996 after 36 years, yet the war continues. Twenty years later, the indigenous people still suffer discrimination, human rights abuses and are drowning in a lake of extreme poverty, where education is a million light years away. Twenty years later, they are languishing in the corners of that star of prosperity that is Guatemala as though it were a pigsty. Depriving children of education is one of the greatest rights abuses that indigenous people face today. This Centre is the lifelong dream of AMOR Founder Arnulfo Gomez Oxlaj. One day, during the Mayan genocide in Guatemala, the soldiers rounded up all the children in the village of Chiul and threw them one by one into a deep well to perish. The soldiers´ plan to burn them alive was thwarted when they ran out of matches and they left. Four days later, Arnulfo was rescued by a woman. Of 116 children, he was the only survivor. He transformed this tragedy into peace, into a determination to help his people rise up out of the ashes of genocide and contribute their gifts and talents to the world. In that moment, the dream was born in him to build a Centre that would be a model of peace in his country, a dream which matured over time. He began to take food, medicine and words of peace, justice and hope to people in need, the first action of AMOR. The Afretlain Centre will provide educate for orphans and vulnerable children of both primary and secondary age. The school will also serve as an Adult Literacy and Skills Centre outside of school hours, improving the capacity of parents to feed their families. The Afretlain Centre will provide girls and boys with a humane, multilingual education that preserves their K´iche´ Mayan culture and language, for a village without culture is without foundations; an education that doesn´t programme children but instead helps develop their gifts and talents, providing a pathway to building equality, peace and a green world. AMOR was founded in 1993, and registered in the UK in 2012. 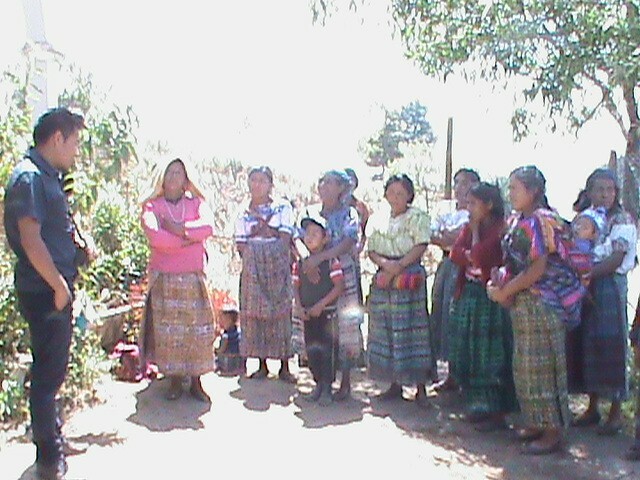 AMOR works for justice in the indigenous communities of Guatemala devastated by genocide. In 2014, The British Ambassador classed AMOR as “the NGO with the potential to make the greatest impact on the lives of indigenous women and children in Guatemala”. A key benefit is that the project will be carried out by a highly trained local team led by Arnulfo, a qualified Construction Manager. Sandra Hannen M.Ed. will supervise the curriculum development and school management. The parents and volunteers will carry out the construction of the centre. AMOR will manage the implementation process, together with a local parent-teacher committee. The dream needed a home, and this home is the Afretlain Centre. Afretlain means "Abrazando Fuertemente la Revolution de Amor y Generosidad", or “Embracing the revolution of love and generosity”. Once the Afretlain Centre is established in Chiul, other centres will be created in the region and nationally, the Chiul Centre being the mother from whom all other will spring. How will the Centre work? It will offer an education that will create both literacy and a humane awareness, helping to preserve our K´iche´ Mayan culture, language and knowledge which serve to collaborate with the world. Men will be trained who will have an in-depth knowledge of the value of life, of work, of rights, of not being silent any more. Women will be trained who won´t just seek power but who know who they really are, and who realize their role as the columns of family and society. This Centre won´t just be for indigenous people but for all cultures. Afretlain will be the home of freedom for my people. The Centre will have 16 classrooms serving 800 of Chiul´s most vulnerable children at both primary and secondary level. Its community health clinic that will assist with maternal and child health and give Chiul its first medical doctor. The Centre will house arts studios and workshop space so that children and adults can start to express themselves through therapeutic colour, weaving and music. A computer centre will help enrich knowledge and train both children and adults in the latest technology. A sports ground, mini-stadium and swimming pool will provide first-class sporting facilities that will help prevent delinquency and encourage teamwork, excellence and health. 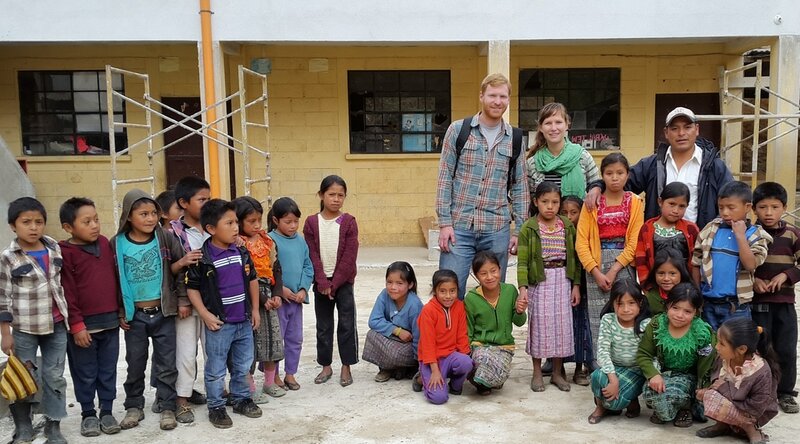 A library will encourage literacy and begin a culture of reading in Guatemala. An auditorium will house special events and performances. A museum will pay homage to the past and present a hopeful vision for the future. A vegetable garden and small farm will provide nutritious fresh food which will be prepared in the kitchens for the children, as well as produce to help raise money for the Centre. The Centre will be built in stages. For the first classrooms, materials, electricity, gas and water installations and land purchase we need to raise £35,000 ($45,000). I´m sharing this dream in the hope that you will be an angel who helps make it a reality, but when you read this don´t feel any obligation. I just want to say to you: We need you. I and my 115 friends say: We need you. I and my 115 friends thank you for reading this. I and my 115 friends cry out: The people need peace; the people need peace.